All our lives we’re told that if we eat healthy and exercise, old age will welcome us with the ability to move and a lower chance of chronic diseases, such as heart disease and diabetes. But many of us forgo the salads and fish in favor of fried chicken and macaroni and cheese. That procrastinating attitude in men, according to a new study, doesn’t change, even when they’ve already been diagnosed with high cholesterol and are taking drugs to manage it. Granted, men who take these drugs, called statins, may also be tired from the drugs' side effects, which include fatigue, weakness, and muscle pain. Taking charge, working through the pain, and building a stronger body may help them lower their need for the medication. It’s in their best interest to exercise, even if it’s only stepping out for a walk. The researchers, from Oregon State University found that men who took statins were less likely to exercise as they grew older. 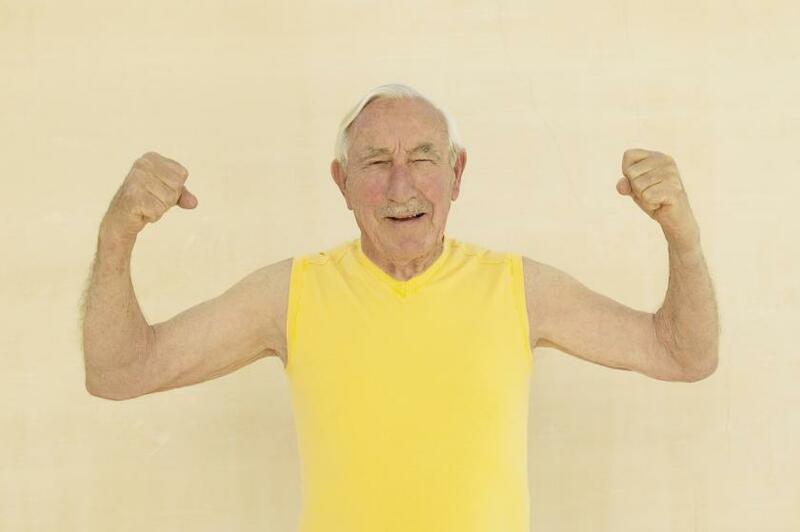 Using data from the Osteoporotic Fractures in Men Study, they looked at how much exercise 3,039 men reported getting and compared it to statin use over the course of seven years. At the beginning of the study, 727 men were statin users. At follow-up, 1,467 men remained without using statins, and 845 men began using them during the course of the study. People who were using statins from the start were less prone to exercise when compared to those who never used statins, with a reduction in exercise of 2.8 and 2.5 points per year, respectively. The difference, which was determined by a self-reported exercise questionnaire, was considered statistically insignificant. The rate at which new statin users fell off of their exercise routines, however, was much larger, at 3.4 points. In all, statin users engaged in 5.4 fewer minutes of moderate-intensity exercise per day, 0.06 fewer minutes of vigorous activity, and were sedentary for almost eight more minutes per day. In their study, the researchers wrote about how they’re unsure why statins cause muscles to become weak. They said a series of chemical processes could lead to a disruption in adenosine triphosphate (ATP) production, which then leads to feelings of weakness, as ATP is the molecule responsible for storing energy. Statins work to reduce levels of low-density lipoprotein, or bad cholesterol, while raising levels of high-density lipoprotein, the “good” cholesterol. In the body, they block the HMG-CoA enzyme in the liver that’s responsible for producing cholesterol. Thus, they’re also called HMG-CoA inhibitors. They’ve been found to be extremely useful for people with high cholesterol and people who’ve had a history of heart attacks, as they prevent the development of plaques in blood vessels. Source: Lee D, Lee C, Bauer D, et al. Statins and Physical Activity in Older Men: The Osteoporotic Fractures in Men Study. JAMA Internal Medicine. 2014.